Sunday, June 24, 2018, 3 – 4 p.m.
Children read aloud to certified therapy dogs from Project Canine. 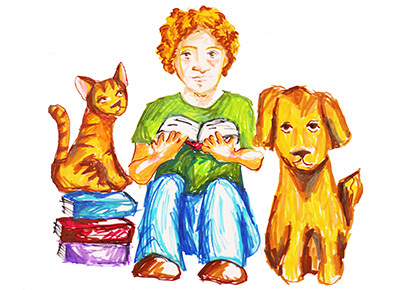 Children ages 5 to 13 are welcome to come read aloud to certified therapy dogs from Project Canine (younger and older siblings are welcome too). The library will have books available and you are welcome to bring your own books as well.